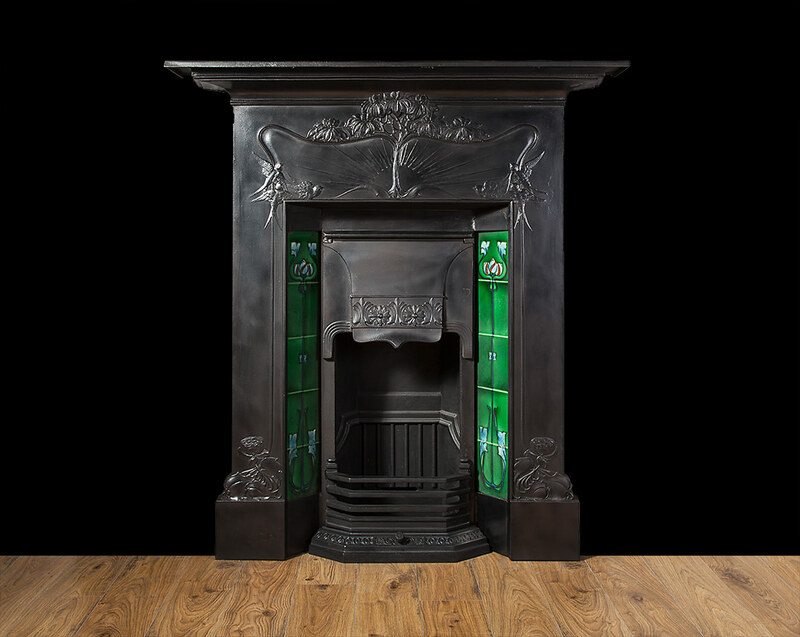 An extremely attractive and rare cast iron fireplace from the Art Nouveau period. 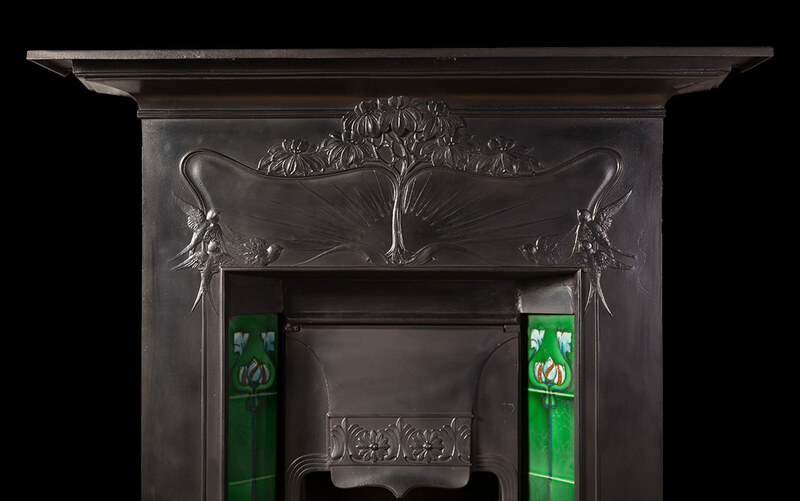 With intricate linear design and flowing natural forms, the frieze having a stylised sunrise with swallows in flight. 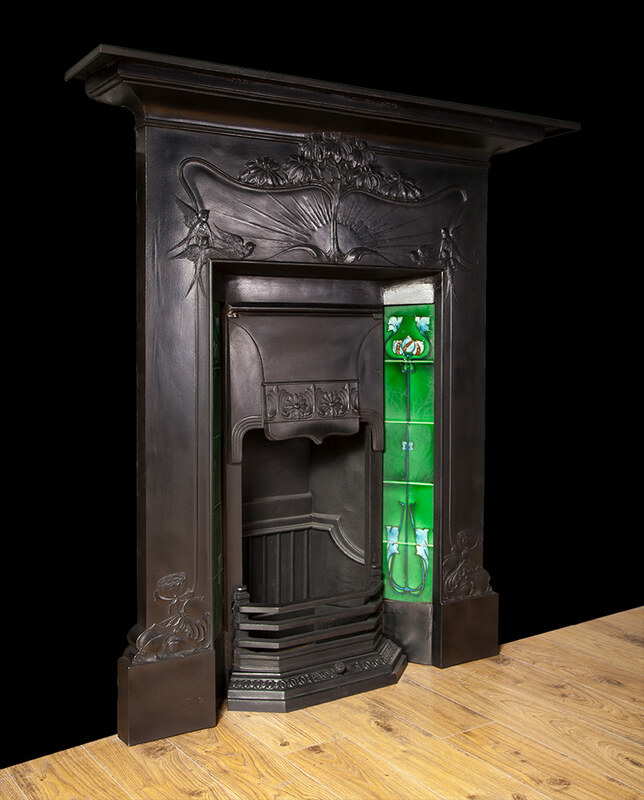 In the manner of Charles Rennie Mackintosh (1868–1928), Scottish architect and designer who pioneered the British Art Nouveau movement.